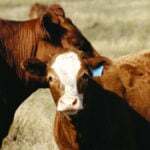 Ontario and Quebec interest continues to buoy prices at Manitoba cattle auctions. 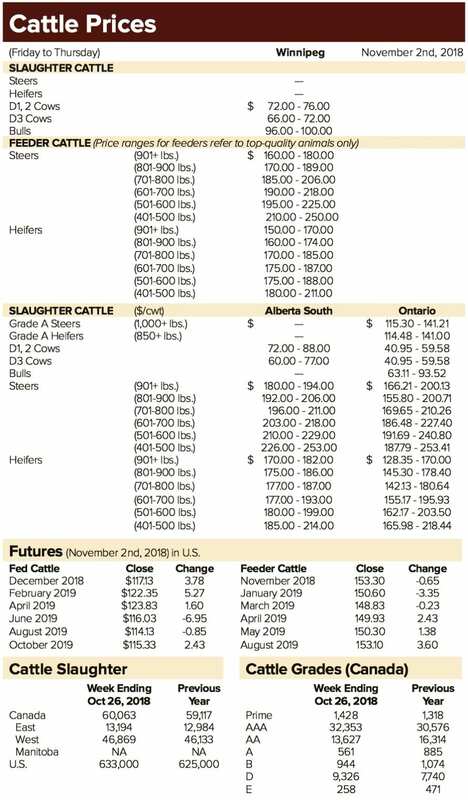 “Pound for pound, on the good end of the calves, we’re probably still $5 to $7 per hundredweight better than they (Alberta) are,” said Rick Wright of Heartland Order Buying Co.
On Oct. 31, good 600-lb. steers at Virden, Man., were attracting prices of $2.50 to $2.80 per pound. But while eastern buyers are active, they are selective, Wright said. In a strong market with a lot of calves coming to auction, eastern buyers can afford to stick to their quality and weight parameters. 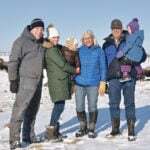 Wright said lower-quality domestic calves that fail to generate interest from eastern buyers are being sold at lower prices, although he has not seen too many of those. However, a shortage of trucks is now becoming a price-limiting factor and that has turned the market spotty. “If you don’t have trucks, you don’t have the orders to go east, and you have to pull your horns in. You can’t be as aggressive,” Wright said. Scott Anderson at Winnipeg Livestock Sales, said he’s seeing steady movement. For September, the Winnipeg auction roughly doubled what it did during the same month last year but since then things have tapered off. 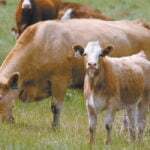 However, he said producers are bringing in as many calves as possible before the animals lose condition from being kept out on exhausted pastures. 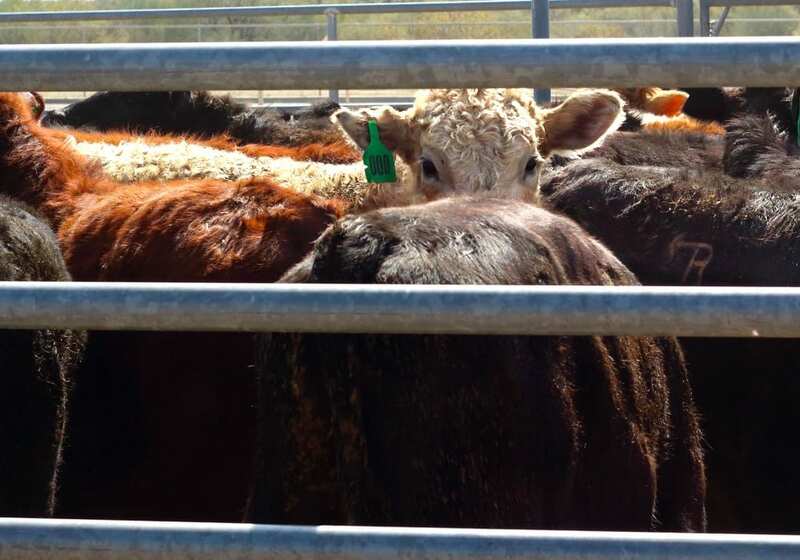 More cows have been entering sales rings lately, as producers cull more rigidly and he’s also seeing more bred heifers, with producers willing to take current feeder cattle prices. Anderson said some producers are willing to take $1,650 to $1,700 now to avoid that situation. Back at Heartland, Wright said this week’s sales saw prices return to higher levels, following a dip last week, and cows are starting to show up. He said he expects at least another 10 days of heavy sales before things start to calm down. At Grunthal Livestock Auction Mart, an Oct. 30 sale saw 500- to 600-lb. steers sell for $180-$225, and heifers in the same weight class sell for C$170-$197. Cows were C$700-$800. A total of 1,283 animals were on offer, including 1,106 feeders and 177 slaughter animals. 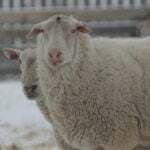 At Winnipeg Livestock Sales, an Oct. 26 sale saw 1,570 feeders and 250 slaughter animals offered. Young calves, 500- to 600-lb. steers, that were passed over by eastern buyers due to lower condition traded at prices below C$2 for the first time since last spring. Terry Fries writes for Commodity News Service Canada, a Glacier FarmMedia company specializing in grain and commodity market reporting.